Could the Friday the 13th franchise get the reboot it so sorely deserves? The beloved slasher series has been dormant for the better part of a decade and Paramount Pictures just can't seem to get it figured out, despite attempts having been made in recent years. However, Jason Blum, the head of Blumhouse Productions, now reveals that he's interested in rebooting Friday the 13th. The question is, could he actually make that happen? "Besides Halloween? You know, I really wanted to do Friday the 13th. I would love to do that movie. Maybe someday we'll get do to that one." Blumhouse has truly become the single biggest name when it comes to modern horror. Last year, movies like Get Out and Split really helped them cement their place atop the horror hierarchy in Hollywood. We haven't yet seen their Halloween reboot, which is going to serve as a direct sequel to John Carpenter's original, but it sounds ambitious. They certainly seem like the right place for Jason and the Friday the 13th franchise right now. So how realistic is it to expect this could happen in the future? Michael Bay's company Platinum Dunes partnered with New Line for the 2009 Friday the 13th remake. They got the rights from Paramount Pictures for the domestic release, but Paramount is still ultimately in control of the franchise, as far as we know. It's entirely possible that Paramount could make some sort of deal with Blumhouse to do a new Friday the 13th movie. Unlikely? You bet. But possible. 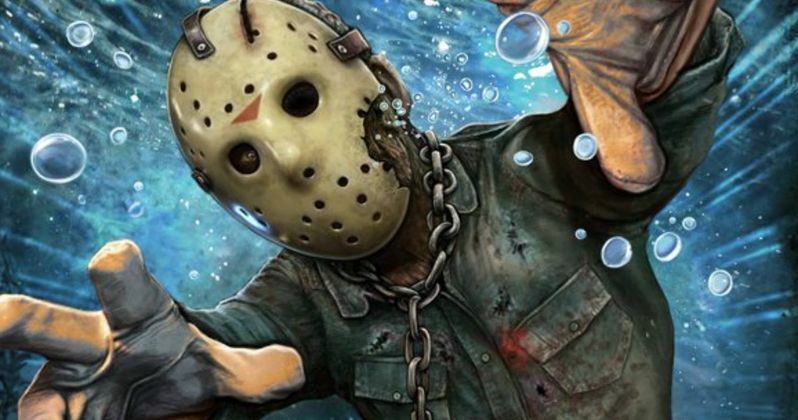 Paramount was still planning on shooting a new Jason Voorhees movie just last year before canceling it, with the failure of Rings possibly to blame. Related: Friday the 13th Lawsuit Settlement Expected Next Month, What Does It Mean? Blumhouse has a successful and profitable partnership with Universal currently, which could complicate any possible deal with Paramount Pictures to make a new Friday the 13th movie. Still, Jason Blum is becoming an increasingly powerful figure in Hollywood. If he wants this to happen and there's money to be made, he may be able to get it done. At this point, there's very little to lose, since Friday the 13th has been dead for a good while. Why not let Blumhouse make a low-budget reboot and see how it goes? You can check out the full interview clip with Jason Blum, courtesy of the CinePOP YouTube channel, for yourself below.